Bo-Tree (Ficus Religiosa) other names : Bodhi Tree , Bo-Tree , Peepal Tree , Sacred Fig , Sacred Tree . Bo-tree (Ficus Religiosa) is a fig/mulberry species that is indigenous to India, Nepal, Pakistan, Bangladesh, Sri Lanka, Myanmar, Indochina and the south-west regions of China. This species is a member of the Moraceae - the mulberry or fig family. Bo-tree is large deciduous or partially evergreen tree growing up to a height of 30 meters (98 feet). The diameter of these trees’ trunk usually measures up to three meters (9.8 feet). The leaves are heart-shaped (cordate) having a characteristic elongated drip tip. The leaves grow up to a length of anything between 10 cm and 17 cm, while their width is between 8 cm and 12 cm, having a petiole measuring 6 cm to 10 cm. The fruits of this tree are petite figs and their diameter is anything between 1.0 cm and 1.5 cm. Initially, they have a green color, which changes to purple when ripe. The bo-tree is cultivated individually in tree plant nurseries and used in the form of an ornamental tree. In places having tropical and sub-tropical climatic conditions, this tree is later transplanted into gardens and parks. In India, the bo-tree flourishes in the stifling, clammy weather conditions prevailing in most part of the country. Bo-tree has a preference for total sunlight and possesses the aptitude to grown in nearly all types of soils. However, it grows best in loamy soil. When you are planting the bo-tree ensure that you use a soil having a pH of 7 or less. While you can grow the plant indoors, it definitely grows better outdoors. When the bo-tree is young it requires adequate nutriments, in addition to full sunlight as well as adequate watering. Traditionally, bo-tree has been used for therapeutic purposes. Bo-tree has been used for treating nearly 50 different types of disorders such as asthma, diarrhea, diabetes, gastric problems, epilepsy, inflammations, and sexual as well as contagious problems. The bo-tree is greatly valued for its excellent therapeutic properties. The leaves of this plant are not only an excellent laxative, but are also a good stimulant for the body. This herb is particularly beneficial for people enduring jaundice, as bo-tree aids in regulation of the disproportionate urine output when one is suffering from jaundice. In addition, the leaves of this tree are extremely useful in treating problems related to the heart. The leaves are useful for controlling heart palpitations and, in this way, it helps to provide protection from cardiac weakness. 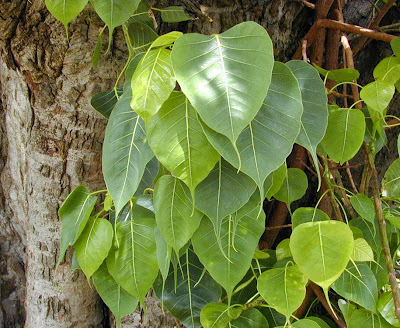 In Ayurveda, the ancient herbal medicine stream of India, bo-tree leaves are extensively used for treating various health disorders, as they offer numerous health benefits. Consumption of bo-tree leaves is an excellent way to cure constipation. It is considered to be one of the best herbal remedies for this condition. In addition, bo-tree is also an excellent remedy for dysentery. Leaves of this plant are also considered to be excellent for curing a variety of skin problems. The leaves of bo-tree are an excellent remedy for mumps. However, you should know that this treatment is only beneficial when bo-tree is used in the initial stage of the problem. The medicinal value of bo-tree, which is also referred to as the ‘tree of life’, is immense. The juice extracted from the bo-tree leaves by keeping them close to a fire can be used in the form of an ear drop. For several years, people have been using the powder of the tree’s bark to cure wounds. In addition, the bark is also effective in alleviating swelling of glands and inflammations. The bark of the bo-tree root is effective for treating stomatitis, cleaning ulcers as well as promoting granulations. The roots of bo-tree are also chewed for preventing gum diseases. The small fig-like fruits of this tree possess laxative properties and it is useful for promoting digestion as well as suppressing vomiting. 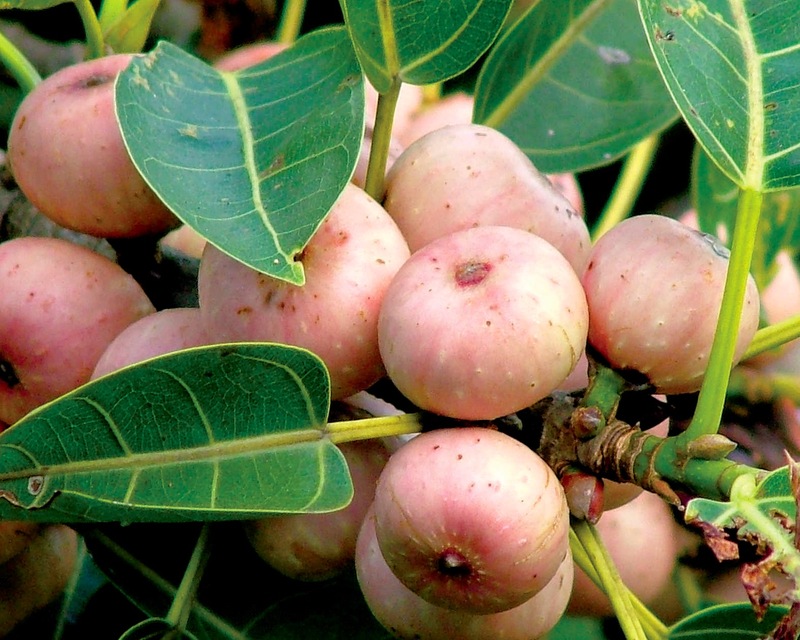 The ripened bo-tree fruits are a wonderful remedy for thirst, foul taste and heart diseases. Many people dry the fruit and pulverize it into a powder, which is used to treat asthma. Even the seeds of this tree possess therapeutic properties and have been successfully used to treat urinary disorders. In the Unani medicine system, the root as well as the bark of the bo-tree are used in the form of an aphrodisiac and are also considered to be an excellent remedy for lumbago. People also masticate the roots of the tree to keep gum diseases away. Ripened fruits are alexipharmic (a medicine that is an antidote or defends against venom, poison or infection). The seeds are laxative, cooling as well as refrigerant. They are also beneficial for people enduring urinary problems. Both, the leaves and tender shoots of the bo-tree possess potent laxative properties. An infusion or decoction prepared from the bark of the tree is blended with honey for treating skin diseases, ulcers, scabies, and gonorrhea. The power bark of the plant has been traditionally used for healing wounds. The root of bo-tree is employed to provide relief from inflammations. The roots of this tree are beneficial for people with gout, a condition wherein there is a build-up of uric acid in the joints resulting in extreme pain. Basically, gout is a type of arthritis which can be treated using roots of the bo-tree, as they help in reducing the uric acid levels in the joints. The bark of this tree’s root is especially useful for treating lower back (lumbar) pain, in addition to curing ulcers. From the therapeutic point of view, the leaves of bo-tree are the most valuable parts of this tree. The leaves can be used fresh by extracting their juice or in their powdered form. 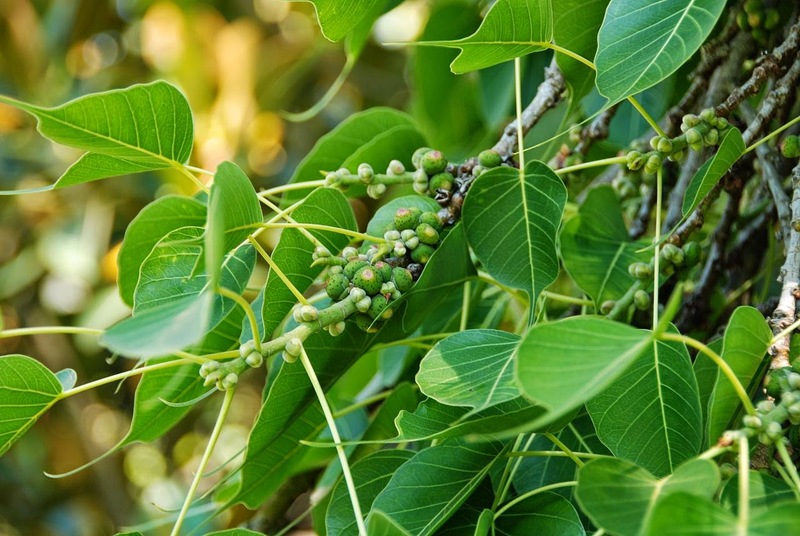 In fact, people who do not have a bo-tree tree in their neighbourhood usually use the powdered form of the leaves. The leaves of the bo-tree have several other therapeutic uses. They are effective in treating fevers, healing bleeding wounds and bruises, as well as curing dysentery, mumps and boils. The figs or fruits of bo-tree encourage healthy bowel movement. In case you are suffering from stomach upset, take a glass of warm milk with the powdered fruit to alleviate the problem. It may also help in purging if needed. On the other hand, you can use the fresh fruit of bo-tree for treating dehydration as well as preventing heart ailments. The fresh fruits are also useful in emergency situations, for instance to throw out the poison consumed accidentally. Bo-tree tree yields latex, which is blended with the roots of Asclepias curassavica for treating skin disorders. The latex of bo-tree is combined with the juice obtained from the roots of the other herb and applied topically to treat an array of skin problems, counting athlete’s foot, ringworm and other different fungal infections on the skin. Formulations prepared from bo-tree should be used with caution and strictly as prescribed by your physician, because an overdose of this herb may lead to many different side effects. Moreover, pregnant women, and those planning pregnancy as well as nursing mothers are advised to check with their physician (especially a gynecologist) before they start using this herb or any of its preparations to cure their conditions.